David and Gareth Rees are fans of the Welsh rugby team. Like most Wales fans, they'll be hoping for the country's first Grand Slam since 2012 when the Dragons take on Ireland at the Principality Stadium this afternoon but they've been a little more invested in the team's fortunes than most. Their late-mother, Olive, left them her inheritance under the strict condition that they used the money to follow the Welsh rugby side play the game that she loved. 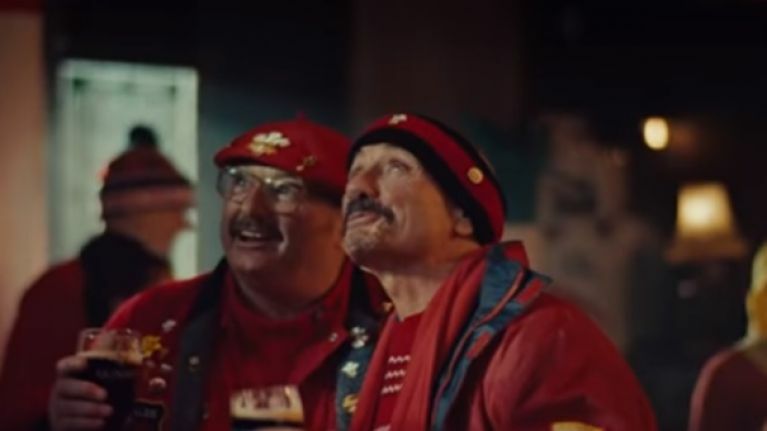 Guinness saw their story and decided to add the brothers to their ‘Made of More’ series with director Tom Green telling the brother's story in an advert titled 'The Purse', named after Olive's favourite Welsh dragon purse as a kitty used for matchdays. "After our mother left us her legacy and I cleared the house and opened a drawer full of purses I thought this is a really lovely story," said David. "We put it on a Facebook site called Run The Valley and everyone was saying 'oh what a lovely story' then WalesOnline got a hold of it and they ran a big story on it. This was actually a year ago and it went nationally and was famous for 15 minutes and everybody loved the story. 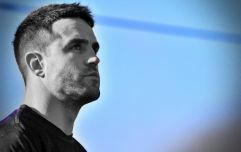 "Then a year later, just before the Six Nations, Guinness got a hold of me and they said we've run stories before about players like Shane Williams and Gareth Thomas but we want to do run one about supporters and next thing you know we're being flown off to Dublin and Rome. "It was basically a real big jolly and it was fantastic. Guinness looked after us so well. Five star treatment. Limousines. Top hotels. I can't fault them. It was just a fantastic experience." Rugby has been steeped in the Rees family for years with the two brothers heavily involved in their local rugby club. They've coached, they've organsied trips abroad for players and they've followed the Welsh team with a fervor and passion but they've a special admiration for Dublin. "We've been going to Dublin every couple of years for some time and the welcome we've received has been brilliant. "However, they stopped us at immigration one time and said 'you can't come in, we've hit our quota of Welsh' so it's that type of humour that we get all that time. The camaraderie that you get around the game whether you win or you lose. It's the same. If we go into a bar where there's a band on we sing along with everybody. "The atmosphere is brilliant and it's difficult to pick out any one story because every trip is different but the Irish always make you feel welcome. "St. Patrick's Day is coming this weekend and St. Patrick is a romanised Welshman so we've got links with you. You're only just across the water and to many Welshmen it's the best trip of all because we're Celtic cousins and we've no axe to grind but when that 80 minutes is on all bets are off. "It's like gladiators but you can't beat a night out with a bunch of Welshmen and the Irish because there's always a sing-a-long and we always win that, of course, but it's a good time." Ireland will play Wales in the penultimate game of the Guinness Six Nations with a Welsh win sealing Warren Gatland's side a Grand Slam while an Irish win would keep their slender championship hopes alive. The GUINNESS brand is a proud supporter of Irish rugby and the title sponsor, official beer and official responsible drinking partner of the GUINNESS SIX NATIONS, Rugby’s Greatest Championship. The GUINNESS is brand is also a proud sponsor of the Women’s Six Nations Championship.